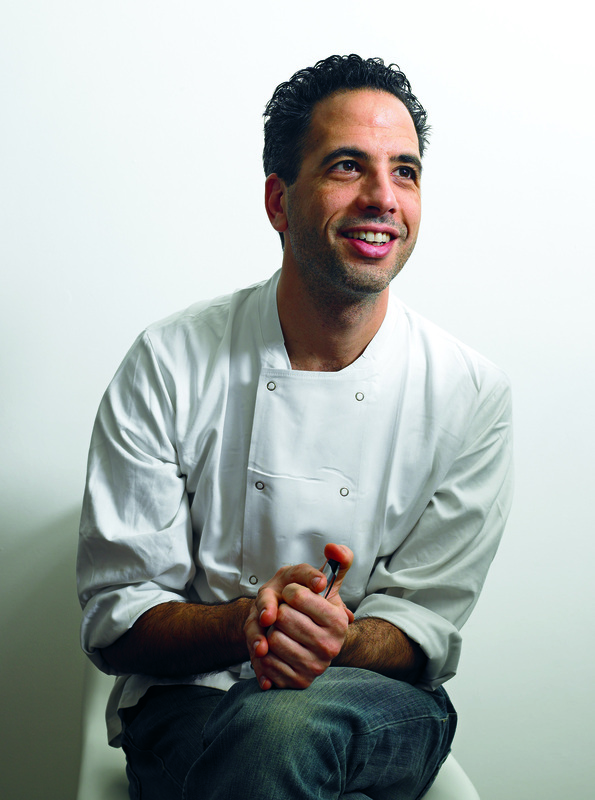 Called the philosopher chef by The New Yorker, Yotam Ottolenghi needs little or no introduction. His recipes are clean, crisp and simple to put together. Just a read through of his books would make anyones mouth water and even the laziest cook would jump up and head straight to the kitchen. Inspiring, truly! With his book Plenty, he has been credited with changing the way people look at, cook with and eat vegetables. Quite the compliment indeed. His follow up book, Plenty More is yet another fabulous cookbook with some phenomenal vegetarian recipes. This Israeli Chef, talked to NPR about why he does not like to call his cookbooks vegetarian. This London based Chef was very kind to answer some questions for the Worldly Vegetarian about his cooking and his kitchen. What inspires you to cook and create these fabulous new recipes? The food I make is the food I want to eat and the food I want to cook for my family and friends. I’ve always had a voracious appetite and spend my days with people excited by something new they’ve eaten or thought of and want to experiment with. The result invariably takes me to a place completely different from the one I set out to reach! I never really had a grand plan, to be honest, and didn’t find my vocation as a chef as lots do, in kitchens, at a relative young age. I’ve always enjoyed food but it was mainly the eating side of the equation until I was in my late 20s, studying in Amsterdam. It was there that I really got my teeth into cooking and saw that a lot of my energy was being directed towards the kitchen (rather than the library, where it was meant to be focused). What are 5 vegetarian Ingredients you cannot live without? Miso, tamarind paste, soy sauce, tahini and Greek yogurt. If I opened your refrigerator or store cupboard now what would I find? Miso, tamarind paste, soy sauce, tahini and Greek yogurt(!) And various leftovers from last week in the test kitchen. Caramelised shitake mushroom ketchup, a marinating onglet steak, a quick onion and chargrilled cucumber pickle, poached quince and jelly, stewed rhubarb, tea-smoked lamb cutlets. And wine. If a genie appeared in front of you and offered to cook you up a 3 course vegetarian meal, what would you request? You’re asking me this when the days are at their longest and darkest so I would go for something very comforting. A big bowl of miso vegetables with rice and a black sesame dressing, for example, or an Iranian vegetable stew with dried lime. At this wintery time of the year, pudding could be something like caramelised brandy pears. They’re lovely with a spoonful of mascarpone on top or served with some sweet and salty crackers. What are some cookbooks I would find on your kitchen shelf? My cookbook shelves are very full indeed. I’m almost embarrassed about how many books I have. Those with the most broken bind include Deborah Madison, Stephanie Alexander, Karen Martini, Najmieh Batmanglij. . . I think it’s really exciting how people are realising more and more that you meat or fish doesn’t need to be the main part of a dish to constitute a meal. I’ve never been vegetarian and I’m a long way from being vegan – I’d find the Greek yogurt a hard one to loose – but I’ve always been as excited by leeks and cauliflowers as I have a rib or beef or a fillet of fish. From what I can see, the boundaries people are setting for themselves are becoming more and more flexible and fluid, rather than black and white. It feels like quite an inclusive trend, rather than one which is closing any doors. How do you feel about diets/studies that propagate avoiding carbs, fats, sugars and such? In other words, what is your definition of healthy eating…. The best six words on the matter have to go to Michael Pollen for this. Eat food. Not too much. Mostly vegetables. If I was allowed to up the word count to nine I might add ‘take some exercise’ and that would be a pretty solid foundation for healthy eating. I don’t refrain from anything in my diet and thing that cutting out an entire food group is faddish nonsense. If we should cut out anything, then unrefined sugar would be on the first boat out but, that being said, I don’t think there has been a day in the last decade that I have not delighted in some dark chocolate at some point in my day. What do you consider your signature vegetarian dish? Would you please share the recipe for that? It’s a difficult choice but the eggplant with saffron yoghurt from Ottolenghi: The Cookbook, co-authored with Sami Tamimi, is a classic.